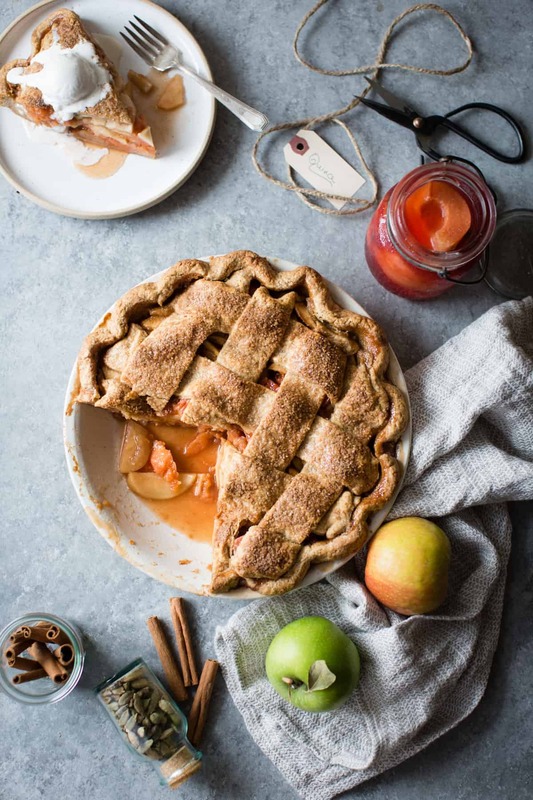 Classic apple pie gets jazzed up with spiced, poached quinces, all tucked into a gluten-free, whole-grain, gum-free crust. 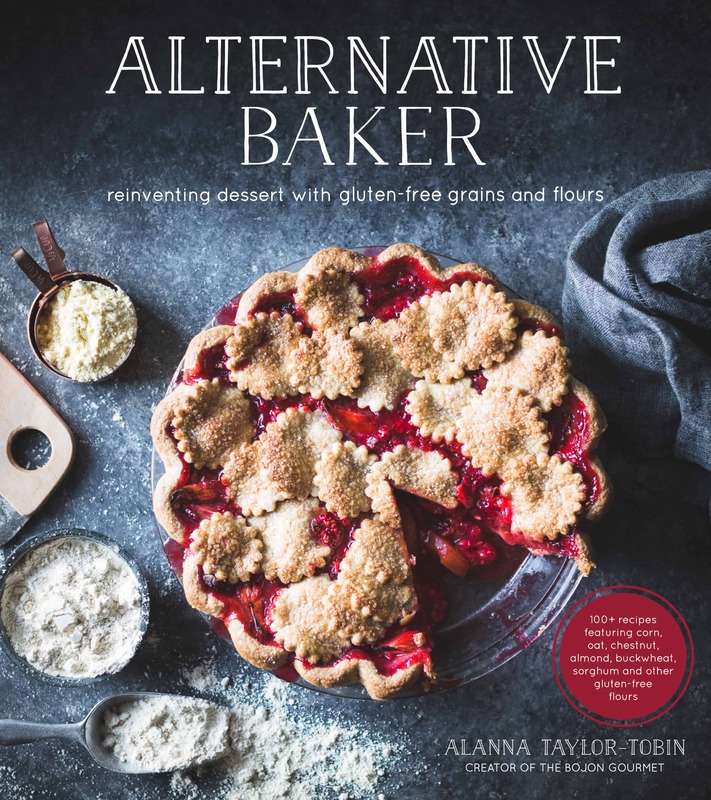 Adapted from Alternative Baker: Reinventing Dessert with Gluten-Free Grains and Flours. While I was writing Alternative Baker, one unexpected perk of the recipe testing process was PRESENTS from my lovely testers. One amazing tester sent a huge box full of homegrown pomes from her orchard – quinces, pears, and several varieties of apple, some with pretty leaves still attached. Another sent jars of the most delicious homemade jams. And another sent a jar of preserved figs from her tree. I was like, you guys are doing me a favor, I should be sending you gifts! 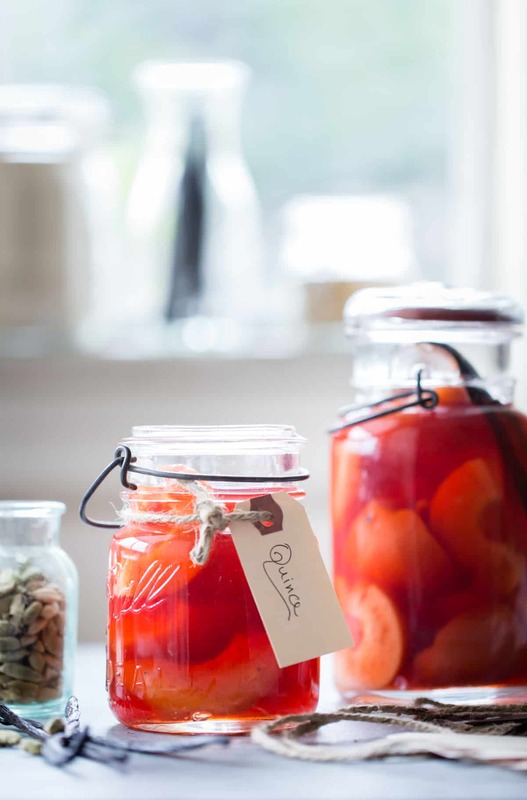 If I were more adept at canning and gift-giving, I would send 50 jars of these poached quinces to all my lovely testers. Instead, I just baked them all into this pie which I then ate. I’m sorry. If you’re a better gift-giver than myself, these poached quinces make a lovely present that can be eaten with cheese and crackers, diced over breakfast yogurt or porridge, or tossed into any apple dessert for a little oomph of flavor. Quinces, which look like knobby, chartreuse apples, are in the rose family, which you wouldn’t know by looking them, but which becomes apparent when you cook the crap out of them and they magically turn bright pink. Their astringent flesh turns as soft as a ripe pear, with tropical, floral notes that pair well with vanilla bean, ginger, and fall spices. Plus, leftover poaching liquid makes a delicious soda when thinned with fizzy water and poured over ice (gin is optional!). I will always associate the quince with a delicious apple-quince pie that we made when I worked in pastry at Farallon. They were individual double-crust pies, warmed to order, and topped with a scoop of spiced walnut ice cream. It was one of the best desserts I’ve ever had. Over the summer, I got inspired by all the handsome lattice pies on the interwebs to give it a go with my gluten-free crust. Since the dough is made with lots of whole grain flours and no gums, I thought it would be too fragile to weave into a lattice (hence the lovely cut-out crust that I borrowed from Laura). But I was wrong! Lately, I’ve been making my pie dough in the food processor, skipping my usual fraisage step (a classic French technique where you smear the dough along the counter) but still giving it a few turns alla puff pastry. The dough starts out crumbly and cracky, but by the end, it’s nearly as pliable as wheat dough, and amenable to weaving. The finished product is a bit more tender and a little less flaky than dough made by hand and fraisaged, but it gets the job done. For this pie, I took the filling from the apple crumble pie in Alternative Baker, added some sliced poached quinces, and folded the whole thing into a lattice crust. It has a classic apple pie vibe, only with a burst of rosy quinces adding their unique floral flavor to the mix. 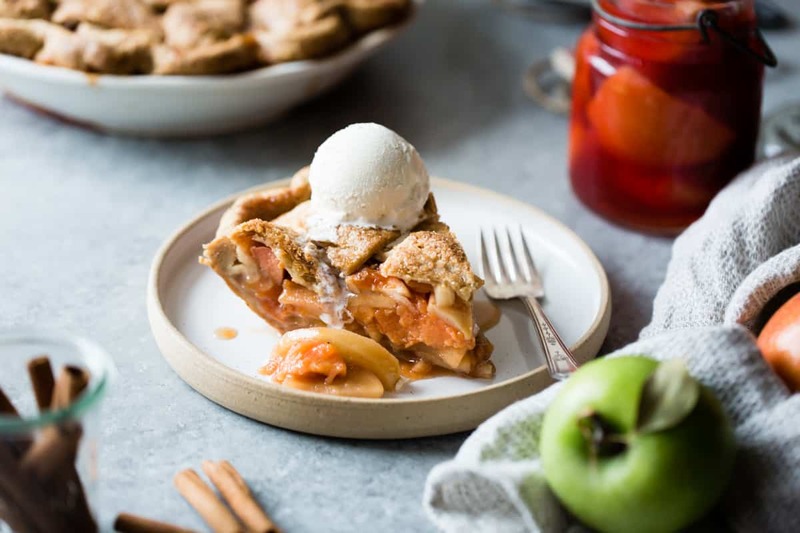 Slices are warm-tasting and homey, particularly with scoops of drippy vanilla ice cream (though around here, pie is game for breakfast as well as dessert). And of course, pie makes a great gift, too. 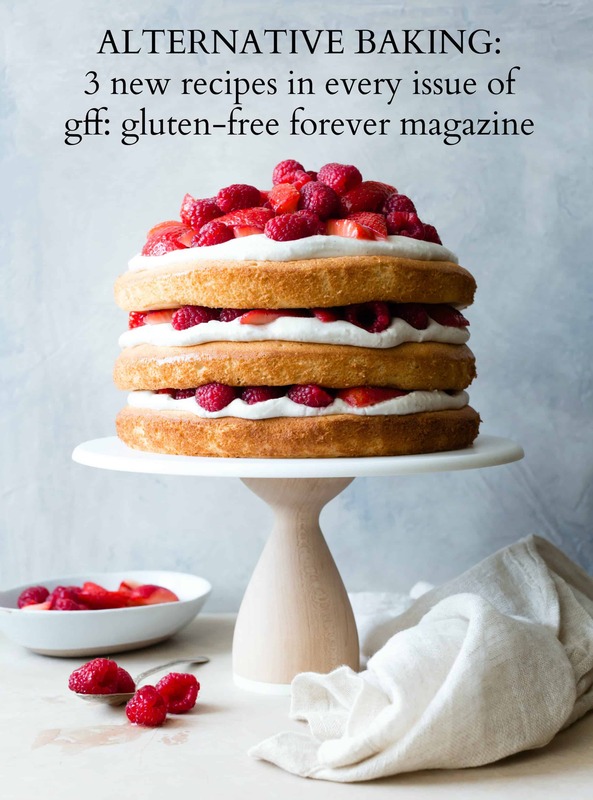 If you’re looking for more giftable edibles, I highly recommend Food Gift Love – it’s filled with creative ideas and beautifully styled and photographed recipes for all manner of edible gifts, from preserves to pantry staples to baked goodies, and much more. 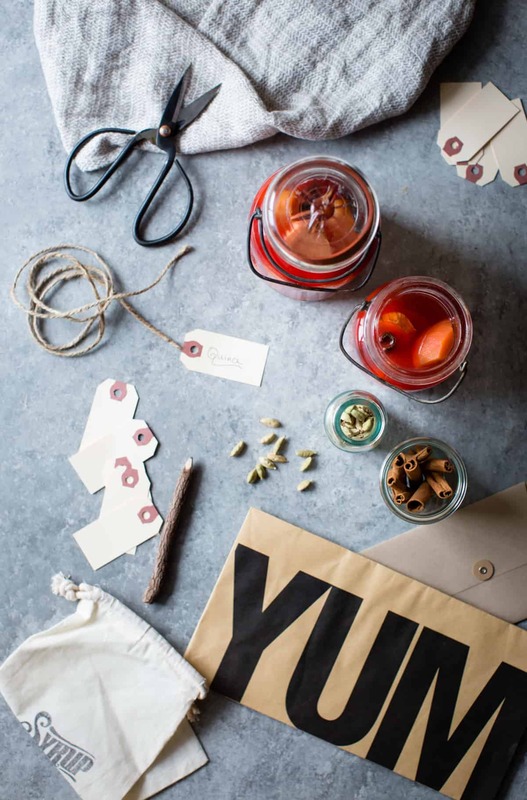 THE GIVEAWAY: We’re giving away a beautiful kit of gift wrapping essentials from Maggie Battista of Eat Boutique, as well as a copy of Food Gift Love and Alternative Baker to one lucky winner! TO ENTER: Leave a comment below about a favorite food-related gift you’ve given OR would like to receive! THE DETAILS: Open to residents in the U.S. only. Giveaway will run from Wednesday, October 19th through Wednesday, October 26th, 2016. A winner will be chosen at random and notified by email by Sunday, October 29th. 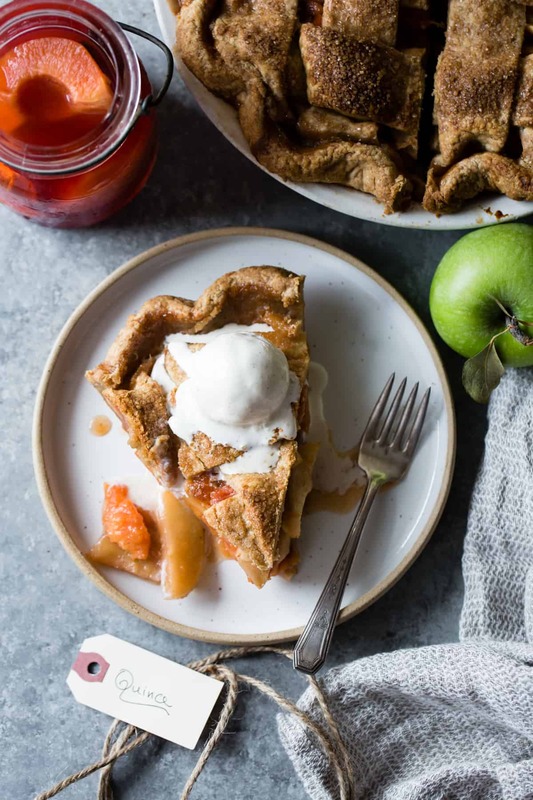 A classic apple pie gussied up with poached quince and a gluten-free, whole-grain crust. Give yourself a few hours to make the dough as it need time to chill between rollings. Don't skip the "roll, fold, roll" step, as this is what will make the gluten-free dough pliable enough to weave into a lattice. The dough can be made up to 2 days ahead of time and refrigerated (or up to 1 month and frozen), and same goes for the poached quinces. 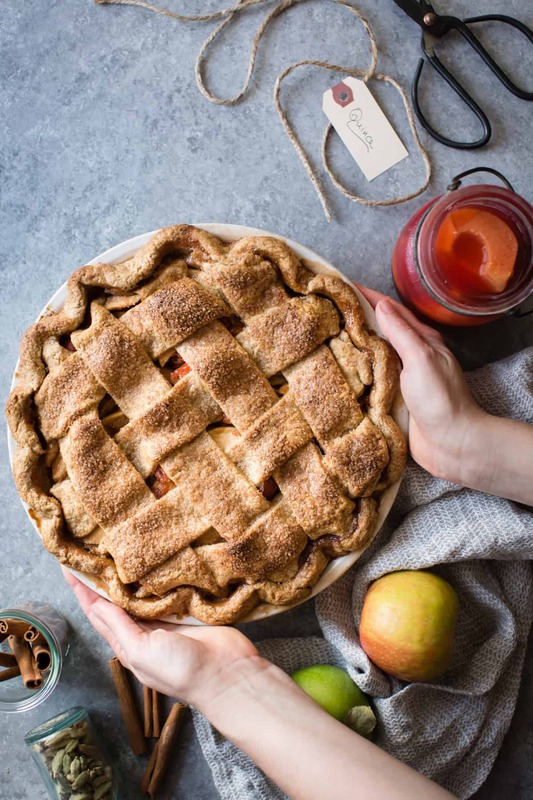 If weaving a lattice gives you the heebie jeebies even after watching this video, you can simply cut the top round of dough into 2-inch rounds and lay them on top of the fruit, overlapping a bit and leaving some windows, and proceed with the recipe. I made this in a 10-inch pie pan, but a 9-inch pan will work; you'll just have an extra-tall pie. For the crust, prepare the dough, shaping half of it into a 9- or 10-inch crust as directed but leaving the edges overhanging by 1". Chill until needed. Position a rack in the lower third of the oven, place a baking stone on the rack if you have one, and preheat to 425ºF. For the filling, peel the apples, cut them off the core, and slice them a scant 1⁄4-inch (6-mm) thick. You should have 6 cups (900 g) total. 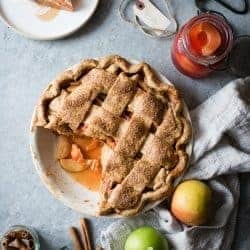 Place the apple slices in a large bowl and gently toss with the brown sugar, lemon zest and juice, cornstarch, cinnamon, nutmeg, and salt, then gently toss in the quinces. Let sit while you prepare the crumble, 10–20 minutes, tossing a few times. Pour the fruit and their juices into the unbaked crust, packing the fruit into the crust. Trim the edges of the strips to a ½” overhang. Fold the bottom crust overhang over itself and the edges of the lattice strips, and use your fingers to flute the dough. 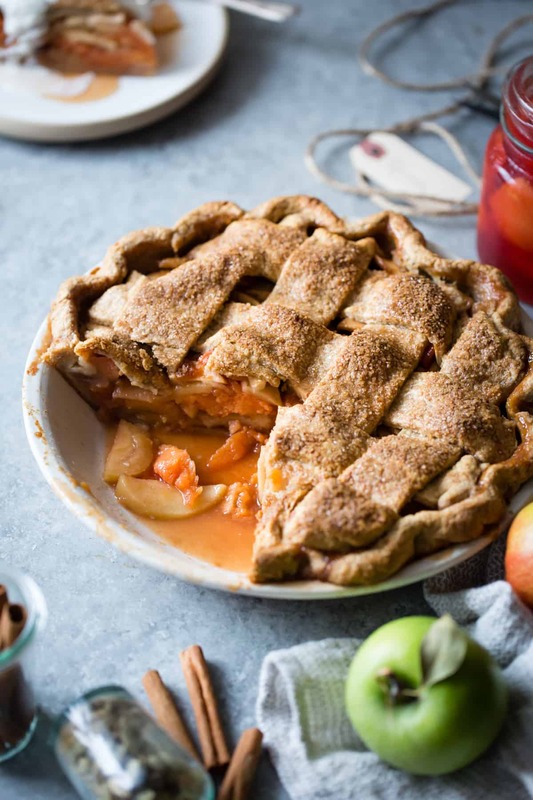 Chill the pie in the refrigerator or freezer until firm, 10-20 minutes, then brush the top with the milk or cream and sprinkle with the coarse sugar. Place the pie on the lined baking sheet and place in the oven on the baking stone. 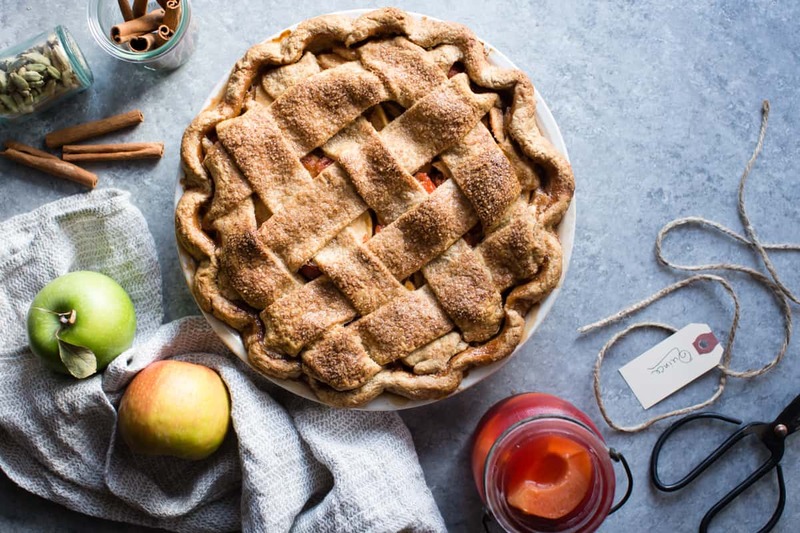 Bake at 425ºF for 15 minutes, then decrease the oven temperature to 375ºF and continue baking until the crust is golden and the fruit is bubbling furiously, 40–60 more minutes. 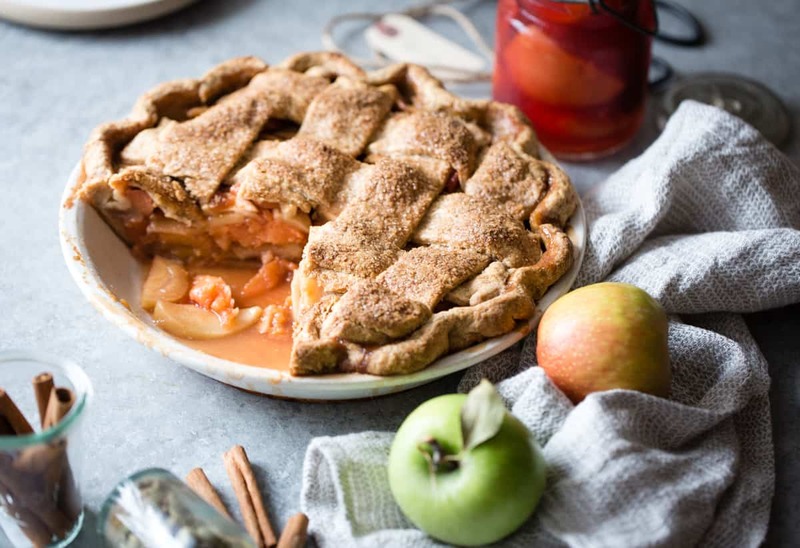 Let the pie cool completely to set the fruit, at least 2 hours and up to 8 hours, then cut into wedges and serve at room temperature, with scoops of ice cream if you like. The pie is best the day of baking and will keep at room temperature for up to 1 day or refrigerated for up to 3 days. Use a vegetable peeler (T-shaped works best) to pare away the lemon peel and place in a large soup pot or dutch oven. Juice the lemon and add the juice to the pot along with the water, wine, sugar, vanilla bean and scrapings, cinnamon, cardamom, and ginger. 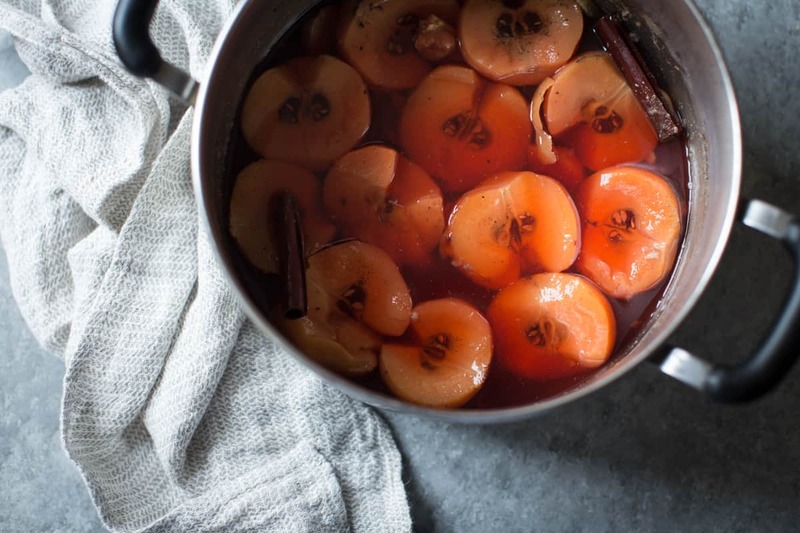 Bring the liquid to a boil while you prepare the quinces. Use a T-shaped vegetable peeler to pare away the skin of a quince. Cut it in half, leaving the seeds in for now, and add it to the pot. Continue with the remaining quinces. Place a small, heatproof plate (or round of parchment paper cut to fit) over the quinces to keep them submerged, cover partially with the lid of the pot, and adjust the heat to keep the liquid at a simmer. Cook until the quinces are rosy and tender, but still holding a shape, about 11⁄2 hours, adding more water as needed to keep the quinces submerged. When done, carefully remove the quinces and let them drain, reserving the liquid (or let the quinces cool in their juices if using later). Cut the cores, stems and blossoms from the quinces and cut them in half again. 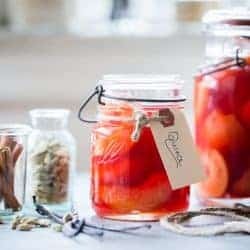 Gently pack into jars, cover with their poaching liquid (adding extra water if need be) and store, refrigerated airtight, for up to 2 weeks. Quince poaching liquid makes a delicious soda with sparkling water, ice, and a squeeze of lemon. Gosh that’s an apple pie !! Interestingly, I like getting anything made with quince. Or figs. They dont grow well in my part of the world (Washington State) I like giving really chunky granola in a large mason jar. Seasonally, I enjoy making yummy applesauce using berries to add an interesting flavor. This is a gift my friends wait for each year! Wait, are you saying that when you have pie for breakfast you don’t put ice cream on it? Making a note of that. Must be a West Coast thing. Some of us who were drowning in apples and quinces last year can only sigh over their pictures this year, but I am still excited to try the dough in a food processor and see if I can weave it! Lovely post. Cries out for Smell-O-Vision, though your purty snaps nearly have it. I will have to call my friend to see if I can get quinces from her bush. Never see them in the stores. Once I made batches of Lynn Rosetto Kaspar’s recipe for Sicilian Sauce, an agrodolce tomato jam with orange peel for everyone for Christmas and another time made rhubarb conserva with orange and lemon peel for all. Any homemade gift is a delight in our house. Thanks for the pear/blackberry crisp recipe. It is delicious! Gah, I always forget about gifts until the last minute, so I need to get better at this! I’ve learned I just need to give food gifts, because who doesn’t like those?! Every year we eagerly await the arrival of the sweet spicy pecans my coworker makes! None of my own homemade food gifts have ever matched them. Oh oh my…. 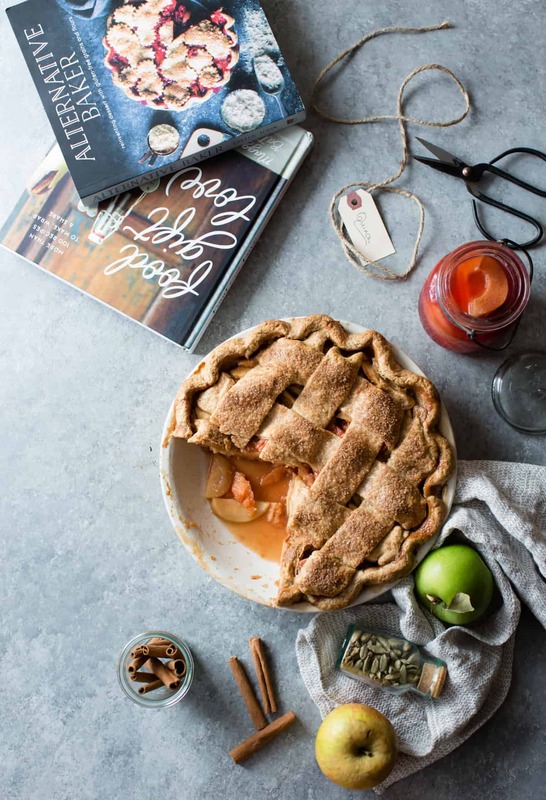 read this post before breakfast and now I’m salivating and needing pie for breakfast stat!! Pie should be it’s own food group. Just sayin’. I’ve been giving away homemade caramels – about a dozen varieties – for a few years now. I love making them and they are always a hit! After reading so many glowing reviews of your book, I’ve got it on my list of presents to buy myself for Christmas this year. :) I’ve been such an admirer of your work from afar. Your lattice looks absolutely perfect and such a lovely addition to add quince with the apples. I also am a big food gift giver- last year it was spiced nuts with homemade chocolate hazelnut butter. Need to start brainstorming for this year! Since I live in the Pacific Northwest I love giving hazelnuts that I get from the local growers. They aren’t cheap and unless you live locally some people have never really been able to experience them. 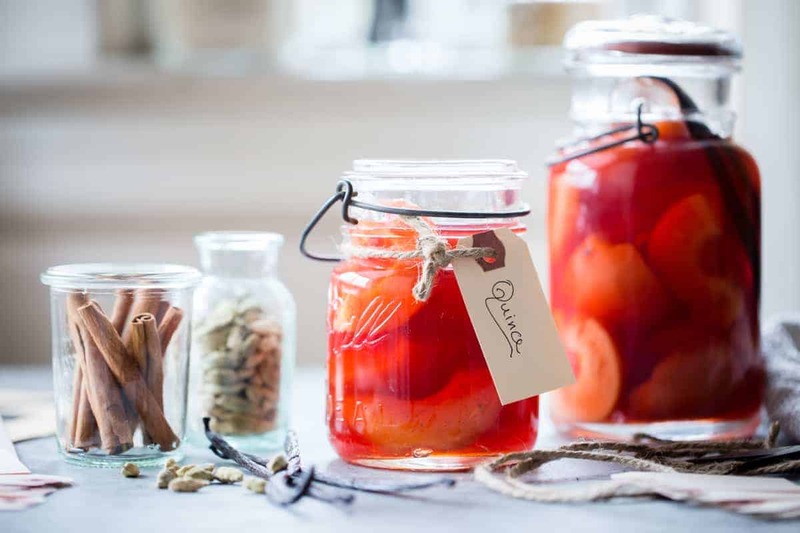 This poached quince recipe is a godsend and has come at just the right time! I have a quince tree that is heaving with fruit! 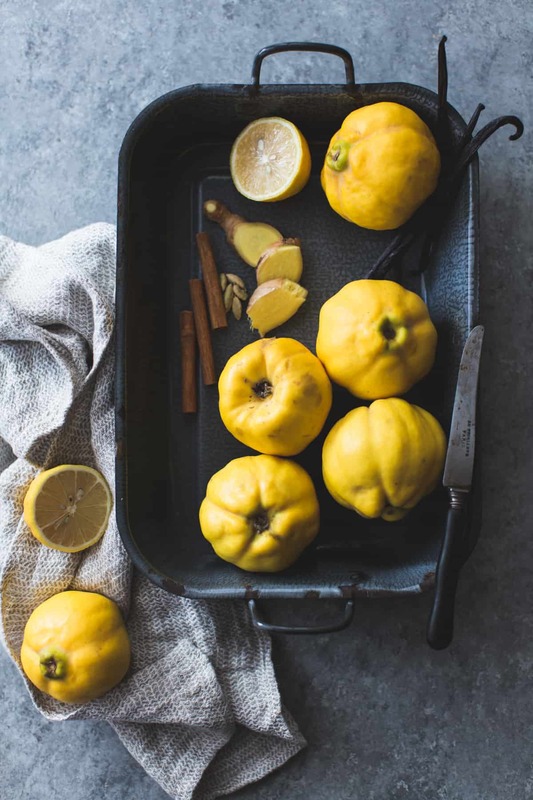 Do you just use the quinces for cooking with? Or would you eat them cold as well? Also how long do they keep in their poaching liquor? is it 2 weeks? Or do I have to wait 2 weeks before eating them? The pie looks fantastic, well done, it’s gorgeous! Yay! So glad I could help. ;) The quinces keep in their poaching liquid for about 2 weeks in the fridge; you can eat them anytime! 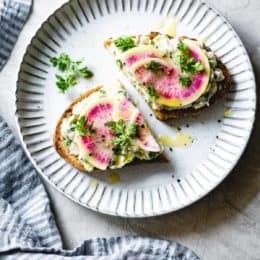 They’re nice with cheese and crackers, diced on toast with goat cheese or cream cheese, or over yogurt or oatmeal for breakfast. Or in this cake. 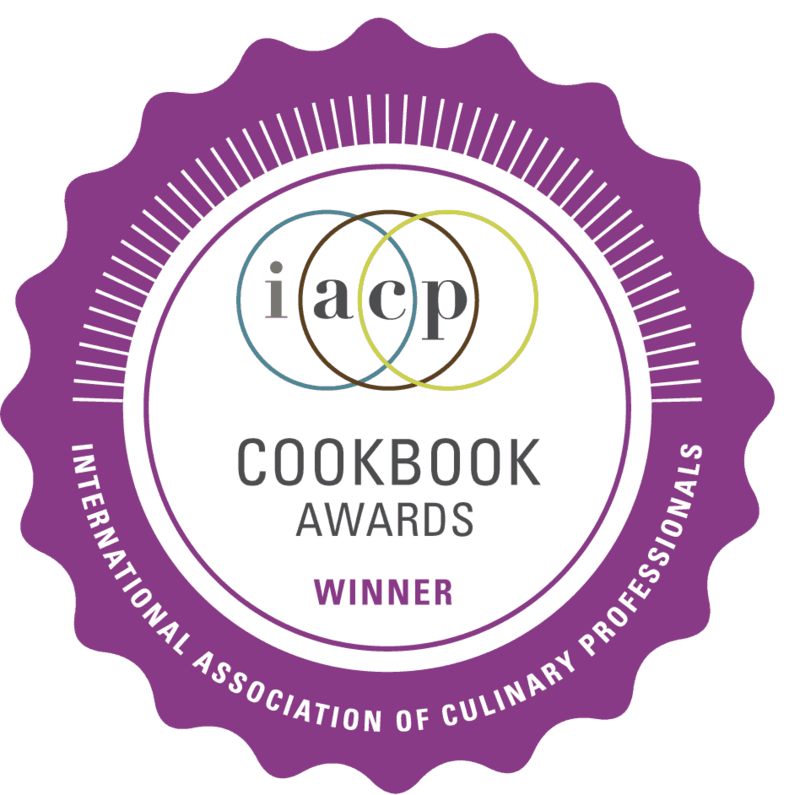 You can also puree the quinces and use the puree anywhere you would a jam, such as rolled up in a roulade cake, in thumbprint cookies, or jam bars. I want to try adding the poached quince to a custardy tart like the peach one in my book, too. So many options! Thank you Alanna, I have reserved about 14 quinces to poach them and use for baking and I have pureed 3kgs of the stuff, some for membrillo, some for quince butter (never tried it, but saw an interesting recipe) and some I will keep and use as you have suggested. You have a wonderful blog! Ah, I relate to everything in this post. I’m so bad at giving gifts- I have the present I bought for my sister’s birthday in May still unwrapped in my bedroom. I’ve been thinking of making salts and infused honeys for Christmas this year, but these quinces sound absolutely amazing. And this pie looks delicious- ugh. Ooh–fun! I would eat the hell out of this pie! Looks great, and we have a gluten free friend coming over for dinner tomorrow – perfect timing! I feel you on gift giving, and usually do food items as well. Nice personal touch, and I can do a lot at once. One year we actually thought ahead (first, last, only time…) and picked up about 15 pounds of cherries at peak season, pitted, brandied, and canned them. 5 months later, they made great holiday gifts! My favorite foodie gift I received was jars of fudge sauce made by my sister in law, using her mom’s secret recipe. YUM. I love receiving annual gifts of homegrown/homemade Fig Butter and Lemon Marmalades my aunt sends me from California. I love giving gifts of GF Cookies! My goodness, I would love to receive a gift of these beautiful poached quinces!! My favorite gift to give is homemade limoncello, using the lemons from our backyard tree. Giving food gifts can be so tricky! That being said, it’s hard to go wrong with sweets :) My favorite I’ve ever received was a hand decorated box filled with a dozen homemade Italian holiday cookies. It was festive and delicious. I’m such a huge fan of your blog! Thank you for sharing your amazing recipes. Macarons are a great fancy food gift to give and to get. Jam, jelly, and fruit butter are also a favorite food gift to receive. Food gifts are the BEST!!!! My go to gift for any kind of party is a cinnamon and walnut laced sour cream coffee cake. 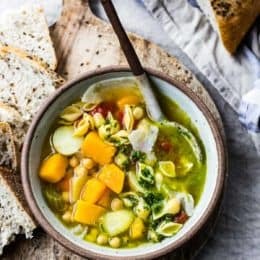 It works for brunch or an early dinner, or the hosts can enjoy it the next morning with coffee while cleaning up or recovering from an indulgent night. On the receiving end, I’m not choosy. I love food that someone takes the time to make for me. I’ve only had quince paste and have looked for them fresh, but have been unsuccessful. Tho, I’m on a mission because THIS PIE!! Fabulous lattice work with your GF flours too! My favorite foodie gift? It has to be shortbread… all kinds, but bourbon vanilla bean is my favorite. Thank you for this beauty my dear! My sister and I make chocolate pecan turtles and peanut butter cups as a Christmas gift for our dad every year. He’s been requesting them for the past decade, with no sign of stopping any time soon. Actually, now that I think about it, my favorite gifts every year are the birthday cakes I make for my parents. This tradition started out as a bit of a joke, because every year, my dad would say “for my birthday, all I want is German Chocolate Cake.” Which we all got pretty sick of after years and years of it. His mom would make it for him every year though. When she died, I took over, having been the cake maven in high school (I used to make INTENSELY boozy birthday cakes for all of my friends in order to “sneak” booze into school…ya know…because that’s apparently what you should do in high school. *smirk*) I never used “German Chocolate,” and would substitute snazzier brands instead, and futz with the cake recipes to get them richer and more chocolatey, but would always make the gooey, coconut pecan frosting. After a while though, my dad eventually admitted that he too, no matter how high falutin’ the German Chocolate Cake was…was tired of it. So, I started coming up with different ones. My mom got a little jealous I think, because suddenly the only gift SHE wanted was a fancy birthday cake too. Over the past few years, I’ve done countless, overly decorated, multi-layer birthday cakes: Chai-Maple-Spice Cake, a Lemon Cake with sculpted marzipan lemons, soaked in limoncello, a mint cake with mint leaves and cacao nibs (and brandy,) an Orange Blossom Cake with orange blossoms, Cointreau, and orange zest, (served alongside a recording of “The Orange Blossom Special,”) Almond Cake with slivered almonds, amaretto frosting, and marzipan, a Dark Chocolate Whiskey Cake with chocolate-dipped, brandied figs, and countless others. My dad’s birthday is coming up in November. This year, the plan is to make him a cake featuring dark chocolate (almost unsweetened completely) honeycomb (the candy–his favorite) and actual honeycomb, with a dark chocolate ganache, and some sort of liqueur. We’ll see how it goes! :D It’s a joy to make these as gifts, since they are all different, I never know how they’ll go, and I never make them again. Now that my family all has endless phone snapshots of everything and everyone, we get photos and videos of them, but for the most part, they are fleeting–they take hours to make and think up, and then gone in seconds. I think though, that I put the most love into these of all the things I bake. That would be my favorite (food) gift. I recently made a huge batch of vanilla bean scones and mason jars full of butternut squash soup for a postpartum friend. Community is so important, when you spend your time and energy growing a baby and then bringing it into the world it feels only right other people spend their time and energy nourishing you! My favorite edible gift to receive was the banana pie my mom made me for my birthday from your blog. Not only was it delicious, my mom does NOT like to be in the kitchen. So I know it was a true labour of love. This pie is such a beauty, I adore the lattice top! 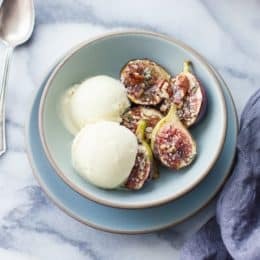 The fig preserve was one of my favorite gifts to give this year, as the black mission figs came from our own tree and I created the recipe from scratch. The preserve was especially fun to package and send, as the jars were sent as surprise gifts to friends.